Living Area 1162 Sq. ft. 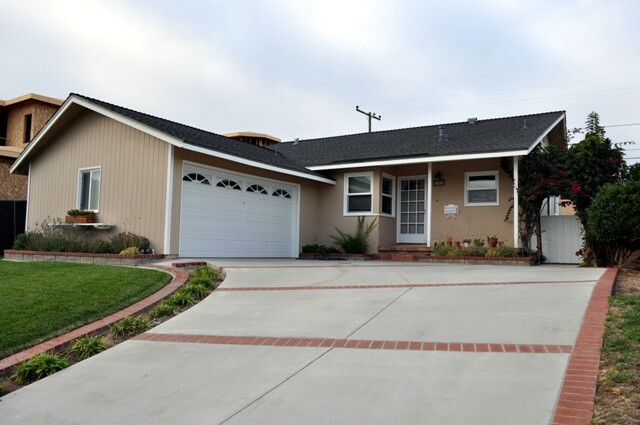 This beautifully Remodeled Southwood 3 bedroom and 2 bath home offers 1,162 sq. ft. of living space on a 5,775 sq. ft. lot. The single-level floor-plan features an upgraded custom Kitchen with granite counter-tops, Maple Cabinetry with (convenient pull-out drawers), and stainless steel appliances, as well as a Formal Living Room new Anderson Windows and new Sliding Glass Door. The spacious, landscaped rear yard boasts a Trex Deck and new pavers and is ideal for recreation. Newer amenities include refinished (original) Oak hardwood floors, Tile in both remodeled baths, Copper plumbing throughout, Milgard Windows, and Mirrored Closet Doors just to name a few. Moreover, the finished garage features expoxy floors, finished with drywall and shelving. This is a home you will LOVE to live in!